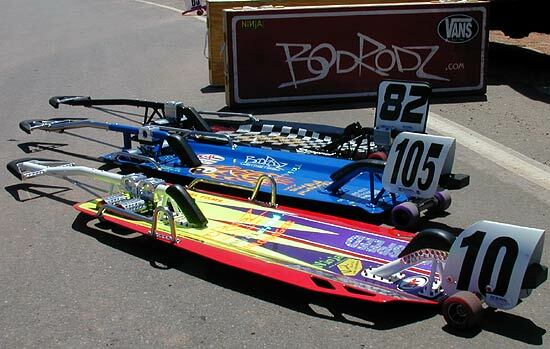 Does anyone have pictures of the Streetluge that the Bod Rodz guys had built to try and tackle the 100mph mark? I had seen pics of it online a few years ago, but haven't been able to find them anymore. It was pretty wild looking. Bill, They kept that thing a closely guarded secret and I know they did not wants picts out of it. You must have been a lucky one. Ed suffered a pretty bad accident on it near 90mph, but without serious injury.... i think and they never attempted the run again. Or was it something completely different? 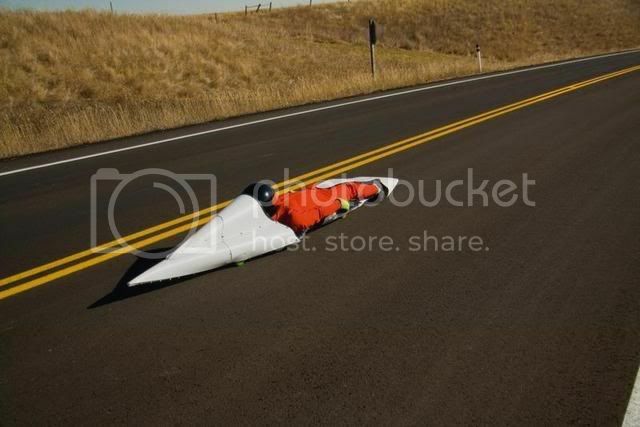 It may have been like their regular sleds, but it had a pretty wild fairing and tail fins as I recal. Was it anything like this? Closely guarded secret? Haha. Looks like it won't be a closely guarded secret anymore once DrNo passes the photos around! So, if it's just a wild-looking fairing and tail-fin, what's wrong with that? We see unique fairing and bodywork designs everywhere. Dave Rogers simply used his normal Rogers Bros pegless with full bodywork at Teutonia, Brazil and was claimed to have gone over 80mph across the finish line! The SC8 luges are also beautiful, and their aerodynamics have been tested in a wind tunnel! It would seem that Stephane really did a good job designing the SC8 luge. I had a chance to ride one at Almabtrieb 2007 and I was able to keep up with Loic Zaccaro (a very fast rider!) all the way throughout the course. I probably reached the finish line about 2 seconds later than he did. Despite using crappy Krypto 85mm wheels, the luge was FAST. How long does should a rear fairing be? I made one about the size of the SC8 luge for my Gumball Machine and it didn't seem to help at all on a 55mph run. In a single word.. LONG. I know that the Bods Rodz luge was pretty long, it wasn't legal back then, and it probably still isn't legal (even with the relaxed rules.